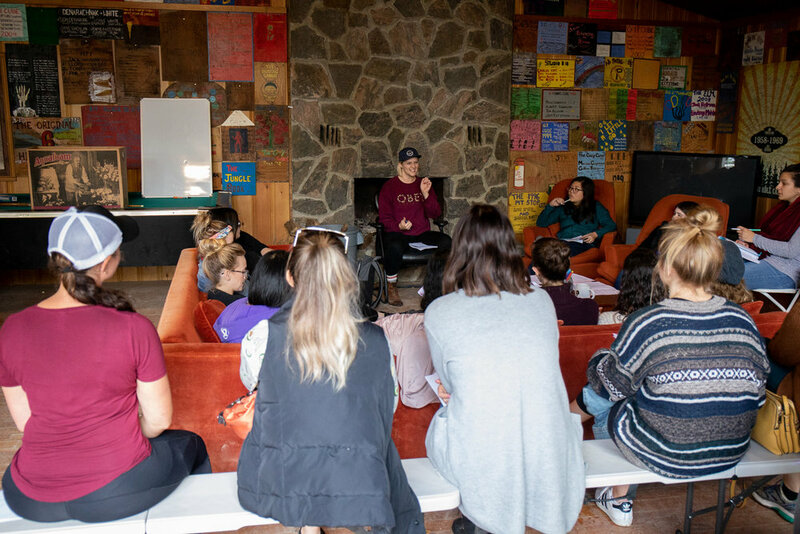 Just a few weeks ago, we ran our first-ever camp experience where over eighty women gathered in the middle of the woods to do real community, open up their hearts and grow their confidence. 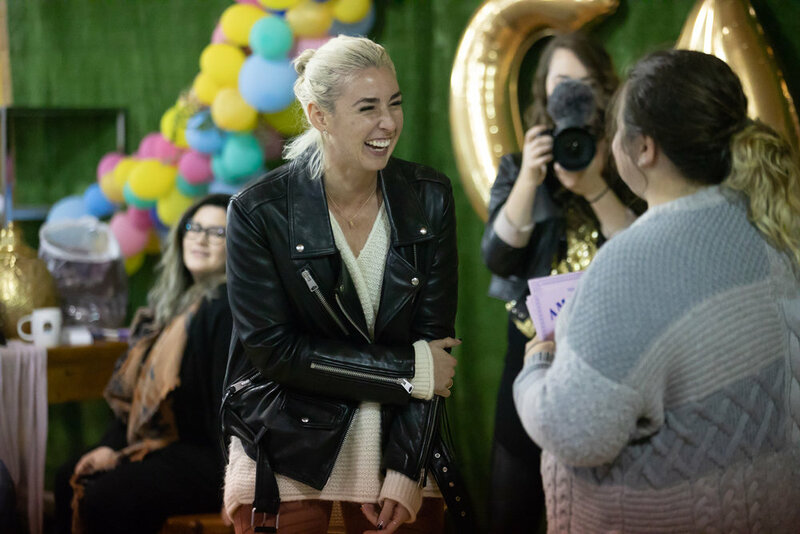 We’re going to give you a glimpse into some of the biggest pieces of the event, so that you can meet some of the incredible people involved and get encouraged that you absolutely need to be there next year. Because you do. 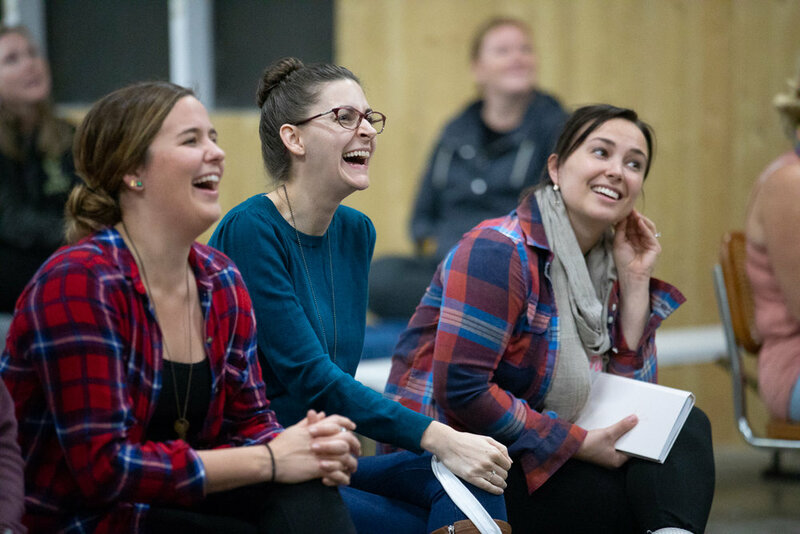 Now listen up, we aren’t spilling all our secrets because camp has to be experienced and we like to keep you a little outside your comfort zone and ready for some serious delight. 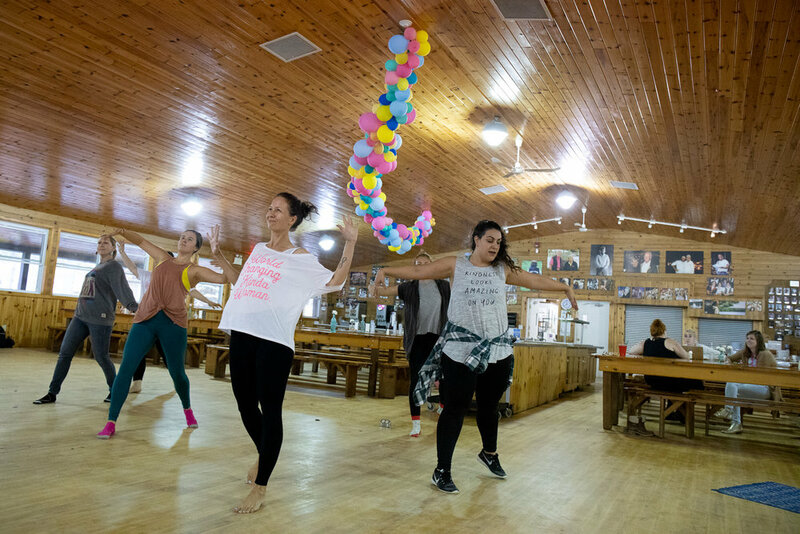 We are so passionate about culture and going into this camp, we wanted the culture to be marked by connection, encouragement, bravery and fun. We brought that intentionally into the atmosphere, the schedule and even the details like an awards ceremony and a camp bucket list. We had the amazing Capital Florist and Wild Ivy Studios bring some serious decor game. They seriously transformed the camp space into something beautiful. 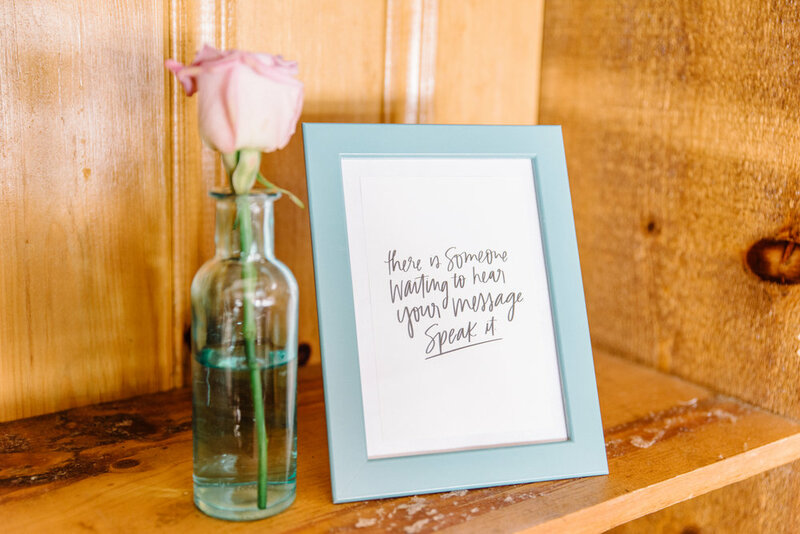 Avi Scribbles and Kercia Jane brought the words with their lettering gifts. Our amazing speakers took the stage and inspired us big time. 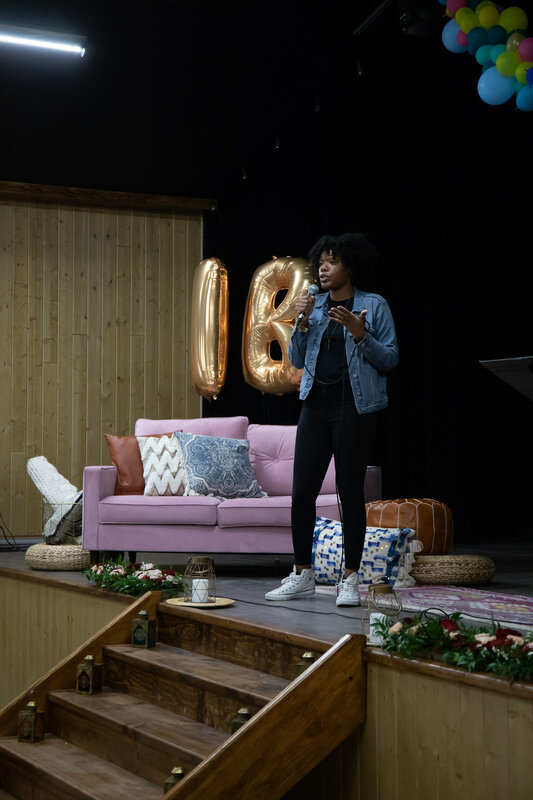 We had Minaa B, Caroline Zook, Carrie Grace, LaShonda Brown, and Hannah Brencher inspire us in the areas of confidence, self-care, risk-taking, being present and doing the damn thing. Ashley (hey - that’s me!) opened and closed the rallies speaking into hearts like she was born to do. 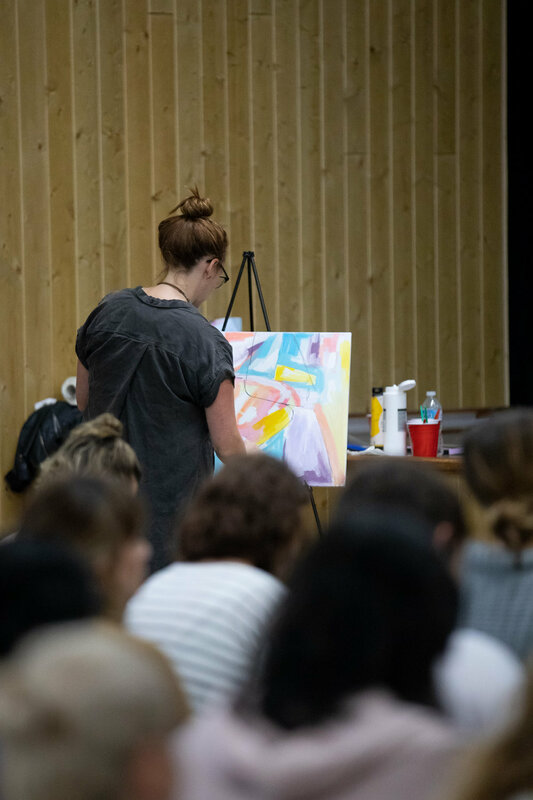 On top of that, we also had Jana from Rebel inspire us and Caroline and Danielle do live paintings to capture what was happening in the room. 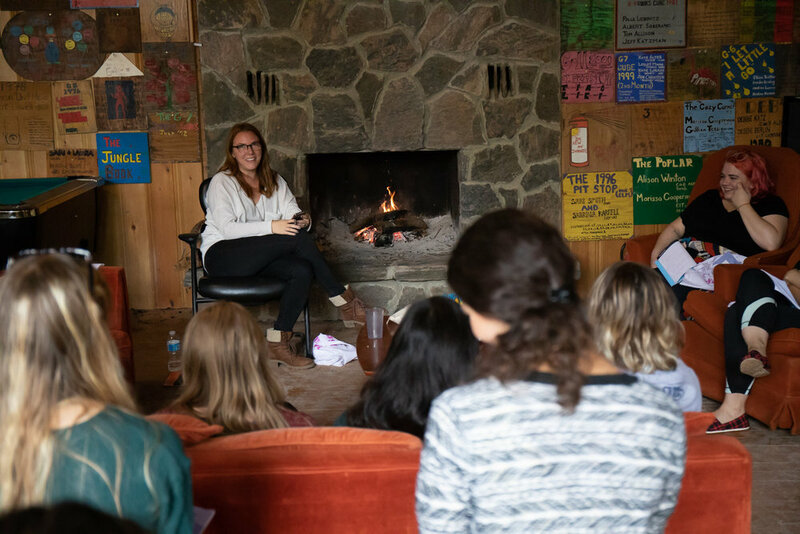 Over the span of the four days, we had different workshops in the areas of creativity, personal growth and intentional business education taught by leaders and campers alike. Women got to learn things like painting, dance and hand-lettering. They got to dive into education like online courses with Podia, Pinterest with Tailwind and websites with Simply Elaborate. They also got to have some inner growth moments in workshops such as journalling and boundaries with social media. Every camper was assigned a mentor and they met in their mentor groups every day. So much transformation happened in these groups as women shared with open hearts and incredible vulnerability. They were able to be seen and known up close both in their imperfections and in their greatness. 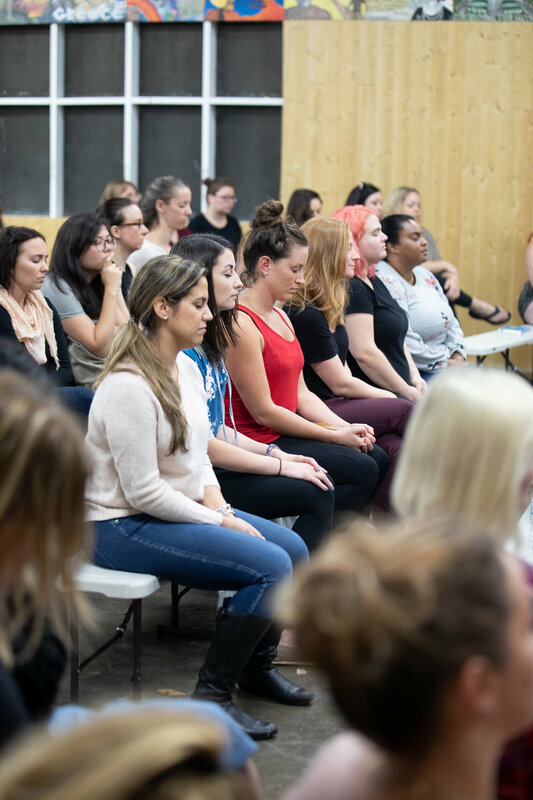 Our mentors included the incredible Amber Robinson, Lauren Frontiera, Kayla Hollatz, Laylee Emadi, Bonnie Bahktiari, Sarajane Case, Brianne Wik, and Lindsey Eryn. What’s an event without some incredible gifts? We partnered with some incredible sponsors to provide gifts for our team and campers. We’ve listed them, so you can stalk em’ like woah. 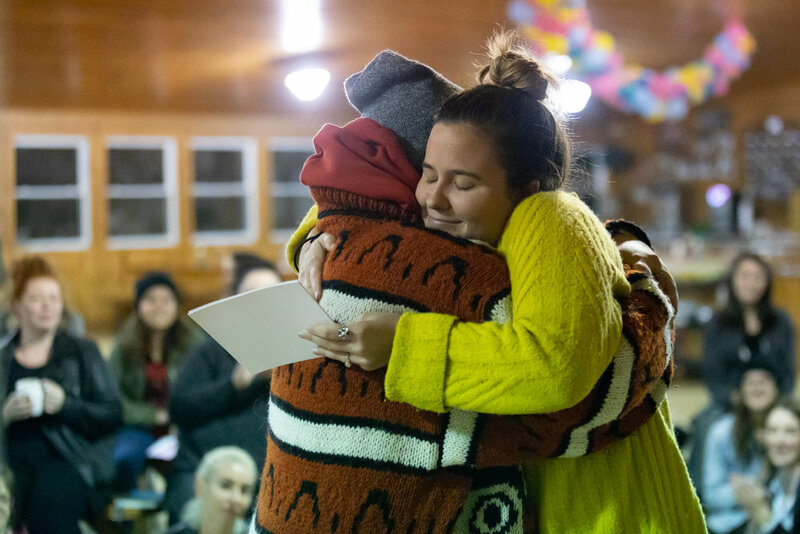 After camp, we received SO many stories of how women’s lives were changed at camp. So needless to say, mission accomplished. Hear it up close and personal from a couple of them themselves. The Imperfect Boss Camp changed my life. It reminded me of my worth and what kind of person I want to be in the world. I walked away with friendships that I know will be with me for a lifetime and a belief in my worth that has already impacted every aspect of my life and business. Before camp I was afraid to speak up and say my truth due to a high level of insecurity + anxiety. After camp I have learned to embrace these qualities and use them to my advantage to be unapologetically me. The Imperfect Boss Camp is a magical experience. You’ll be affected in soulful ways that take a bit to process because it’s anything but surface level. You’ll meet incredible women with incredible hearts who are doing incredible things in the world. You’ll go outside your comfort zone and find a home there. You’ll be inspired. You’ll be uplifted. You’ll be changed. One last thing! 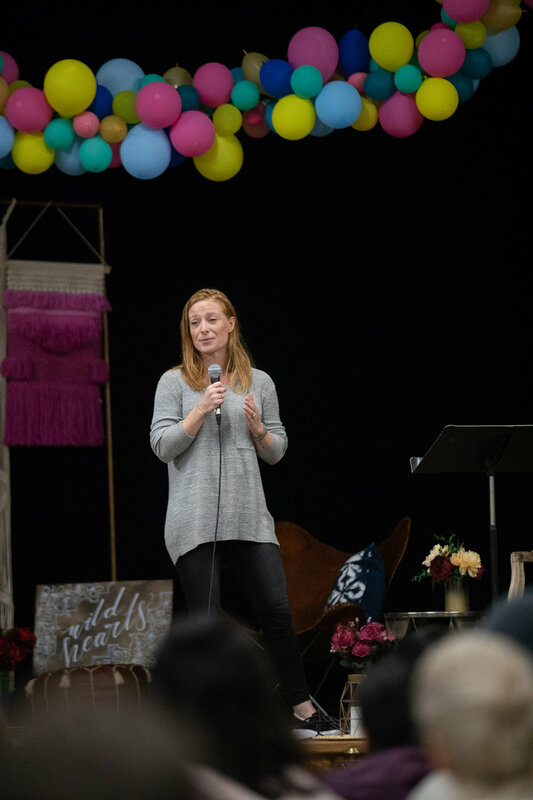 We also want to give a huge shout-out to Lisa Kelly, Charuk Studios, and Melissa Claire who captured the event in photography and film including the photos in this post. We also had the incredible team at Starnes & Co who led operations and logistics during the event and slayed the game. And last but not least, Futurpreneur and Showit sent campers and changed a couple lives. We are so excited for Camp 2019! We hope we will see your beautiful self there. Sign up to be in the know when registration opens.